People around the world and throughout history have used music to express their inner emotions, reach out to the divine, woo lovers, celebrate weddings, inspire political movements, and lull babies to sleep. 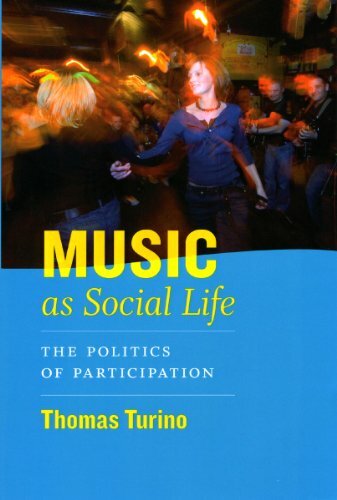 In "Music as Social Life", Thomas Turino explores why it is that music and dance are so often at the center of our most profound personal and social experiences.Turino begins by developing tools to think about the special properties of music and dance that make them fundamental resources for connecting with our own lives, our communities, and the environment. These concepts are then put into practice as he analyzes various musical examples among indigenous Peruvians, rural and urban Zimbabweans, and American old-time musicians and dancers. To examine the divergent ways that music can fuel social and political movements, Turino looks at its use by the Nazi Party and by the American civil rights movement. Wide-ranging, accessible to anyone with an interest in music's role in society, and accompanied by a compact disc, "Music as Social Life" is an illuminating initiation into the power of music. "Politically and musically passionate, intellectually sophisticated, and thought-provoking - this is a brave and extremely original book, one that will play a role in this century akin to such seminal works as The Anthropology of Music and How Musical Is Man?" - Anthony Seeger, University of California, Los Angeles"
We are an online retailer.